Cyclosportives, or long-distance cycle rides, are growing in popularity all over the world. From the Etape du Tour - where cyclists get to ride a stage of the Tour de France - to the Tour of Flanders or the Etape Caledonia in Scotland, these events are pulling big numbers and attracting a range of cyclists. 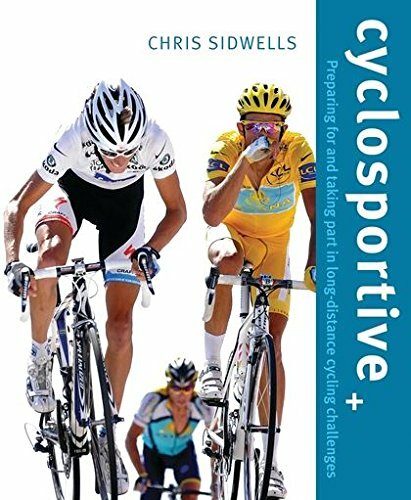 In this new book, bestselling author Chris Sidwells explains how to choose the right sportive, prepare for it both mentally and physically, and get yourself and your bike to the finish line. Topics include: * What kind of bike to buy * How to set up your optimal riding position * How to care for your bike * Clothing and equipment * Skills and techniques * Mental and physical demands of the event Whether you're embarking on your first sportive or trying to improve on your performance in the next one, this essential guide will help you reach your goal. Written by an experienced cyclist, trainer and writer and full of information, tips, illustrations and great stories, it's the perfect companion to an unforgettable challenge.